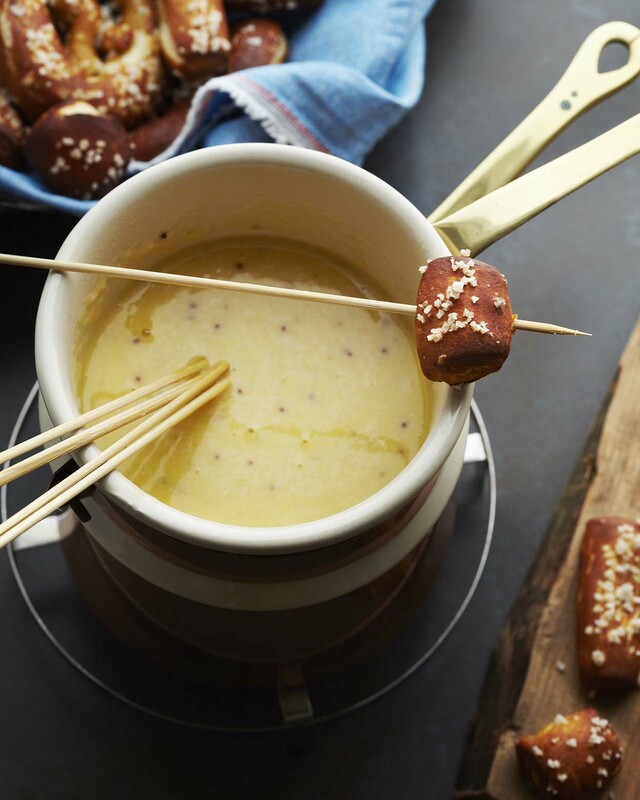 Beer Cheese Fondue. | Photo by Alex Farnum. 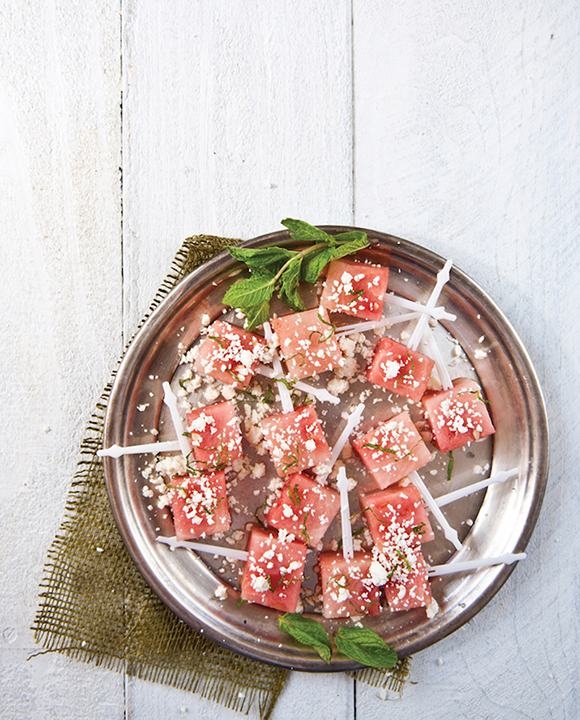 IPA Watermelon Skewers. | Photo by Jacqueline Dodd. Hop-Seasoned Curly Fries. | Photo by Katie Chudy. 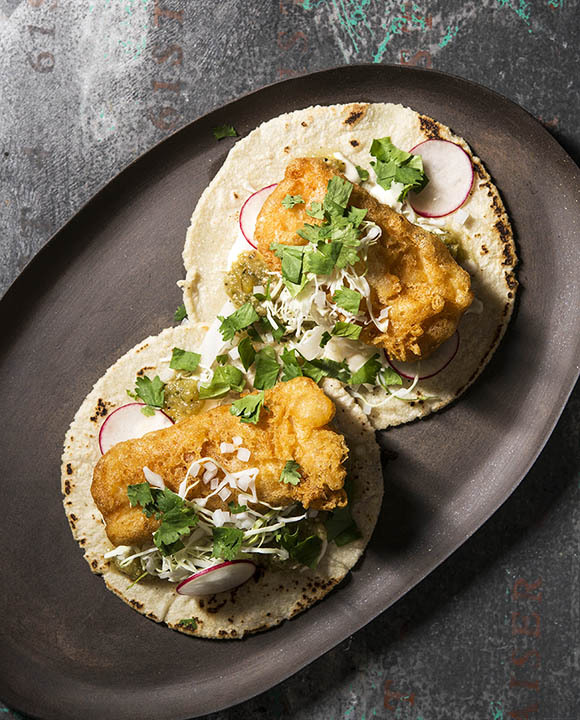 Beer-Battered Fish Tacos. | Photo by Evan Sung. Drunken Crab. | Photo by Evan Sung. 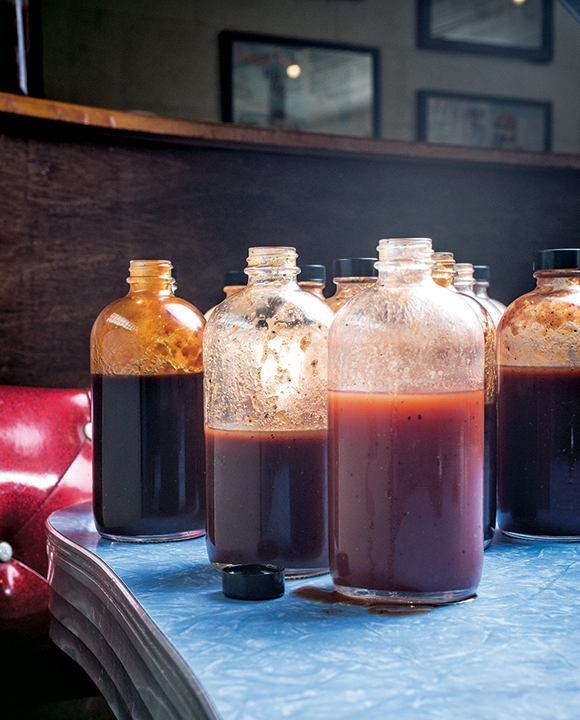 Fig Ancho Beer BBQ Sauce. | Photo by Jordan MacKay. Maple Stout Baby Back Ribs. | Photo by Jacquelyn Dodd. Porter-Braised Pulled Pork Sandwiches. | Photo by Jacquelyn Dodd. 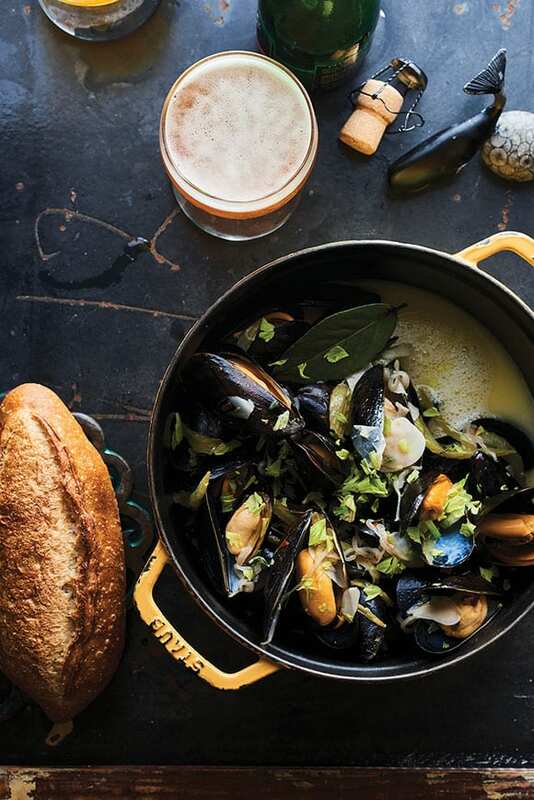 Mussels with Sour Beer. | Photo by Peden + Munk. 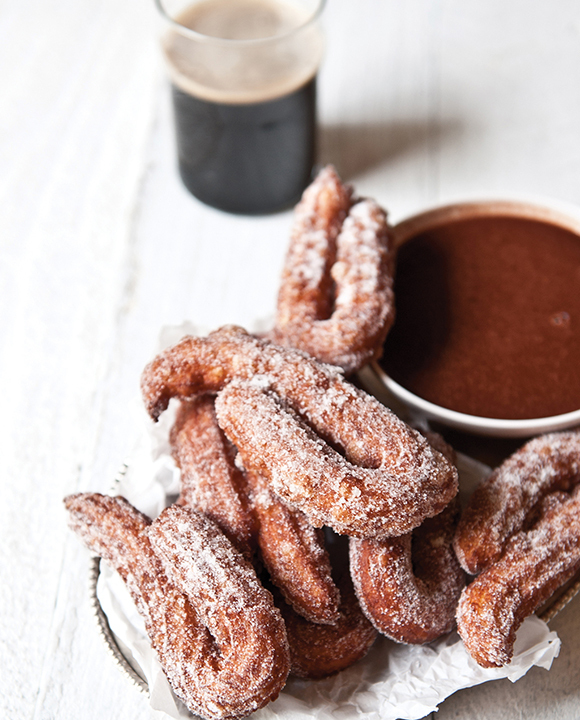 Beer Churros with Stout Sauce. | Photo by Jacqueline Dodd. India Pale Ice Cream. 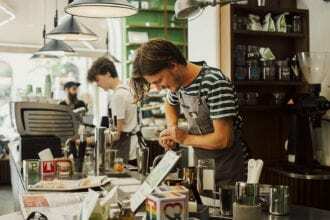 | Photo by Tina Rupp. Mud Pie with Beer Ice Cream. | Photo by James Ransom. Summer’s last hurrah is here, and there’s no better way to celebrate than with your favorite beer. If you feel a little more ambitious this holiday weekend, try working a lager or ale into your cooking agenda, too. 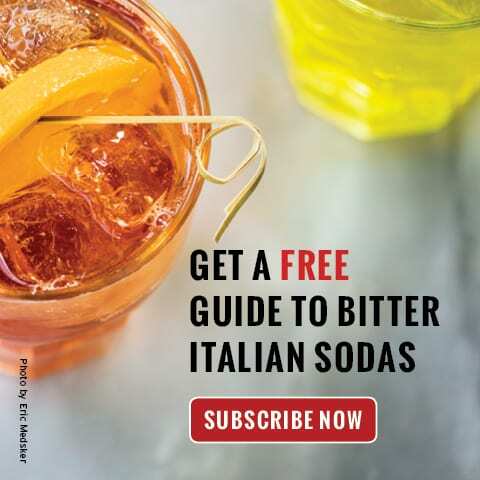 You can even make an entire meal out of a mixed six-pack with these recipes. The dynamic duo of beer and pretzels. Bolster your next backyard barbecue with this juicy skewer snack. 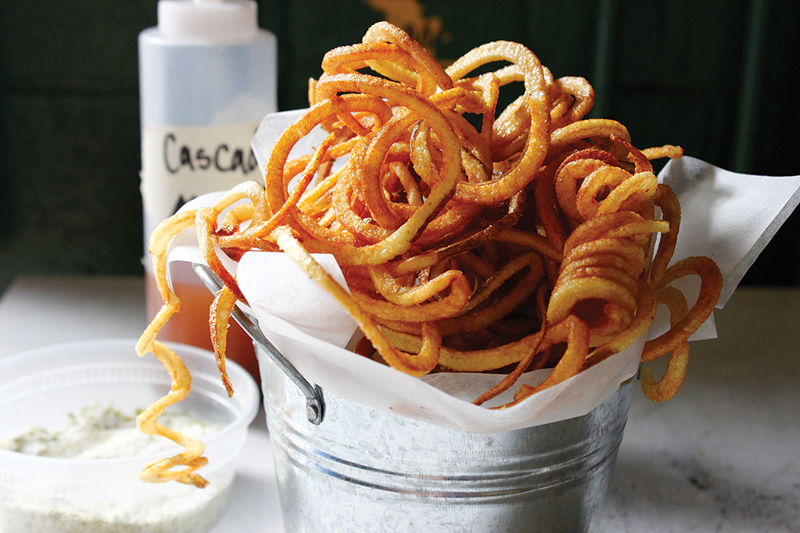 What’s better than your typical curly fries? Ones seasoned with hops! Crisp and crunchy, these fish tacos get an extra flavor boost from beer. 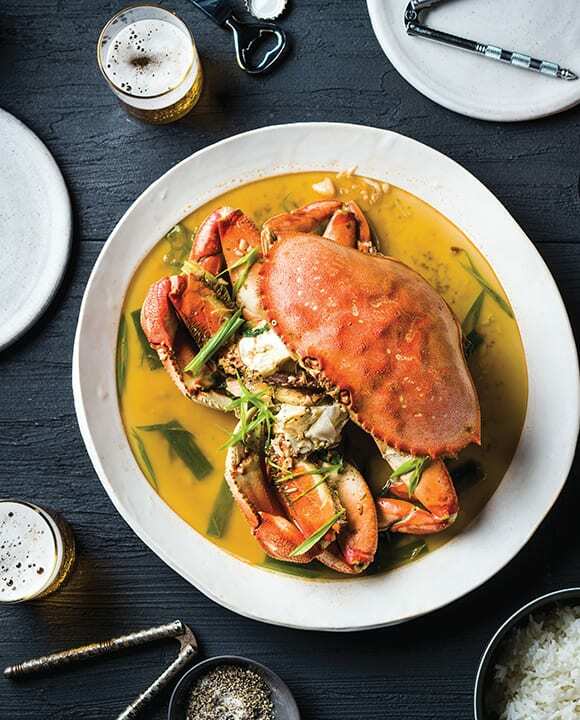 Dungeness crab soaks up the richness of beer and wine. 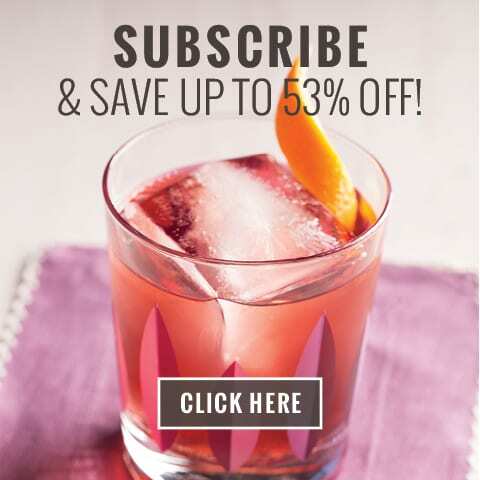 A perfect match for any smoked meat. 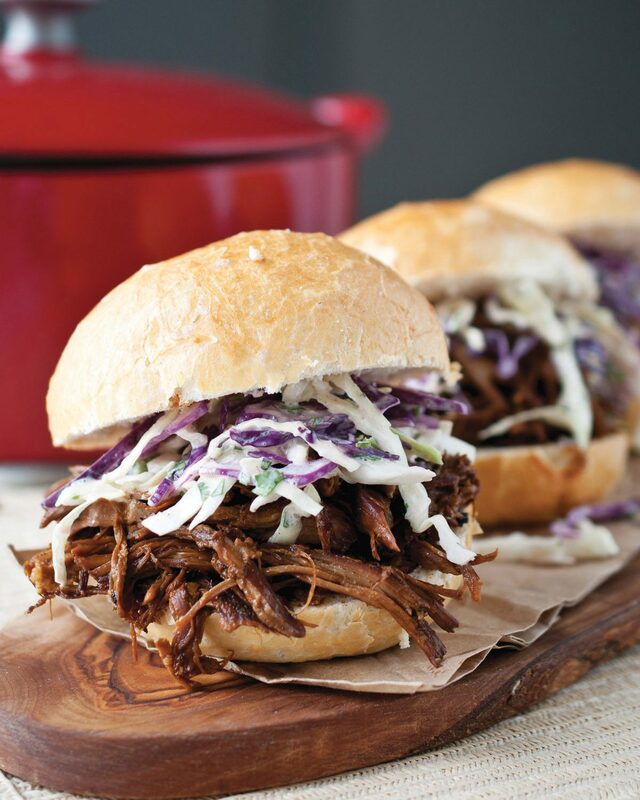 A double dose of beer flavors these melt-in-your-mouth pulled pulled pork sammies. 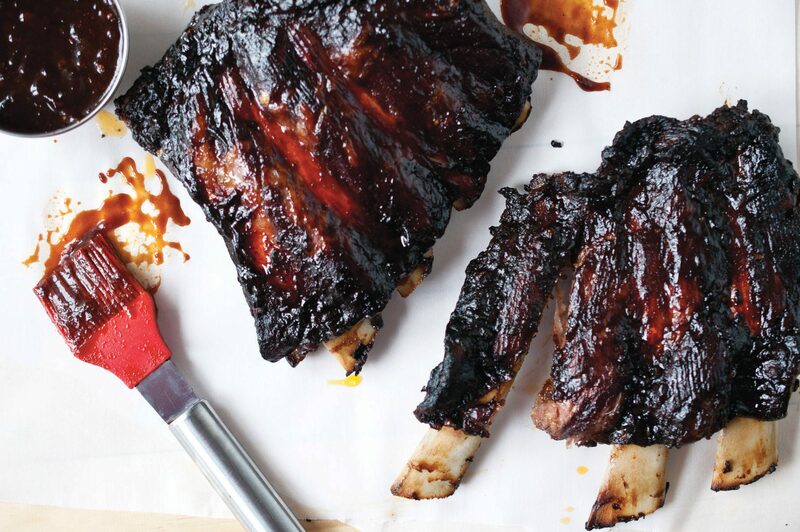 Beer-spiked bbq sauce lends some finger-licking goodness to these slow-roasted ribs. 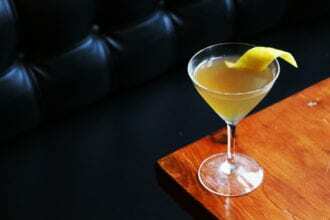 Sour beer elevates a seafood classic. Fried bits of sweet, beer-soaked dough are sure to satisfy that sweet tooth. 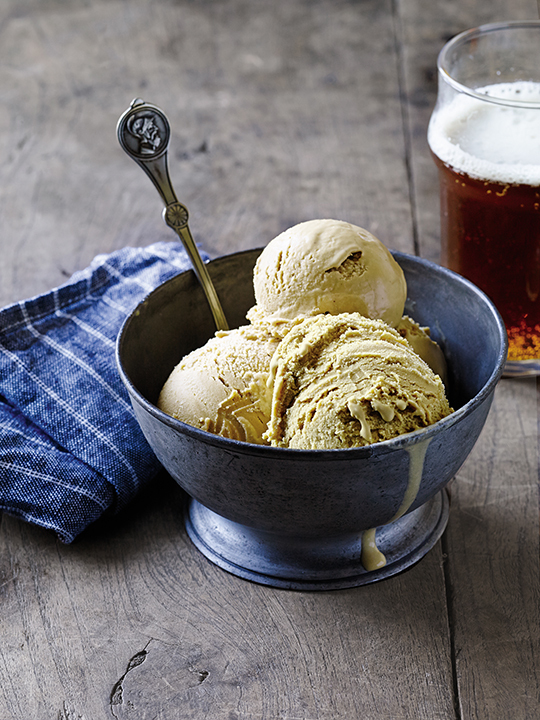 Hops and Belgian candi syrup create a distinctive IPA flavor in this sweet treat. 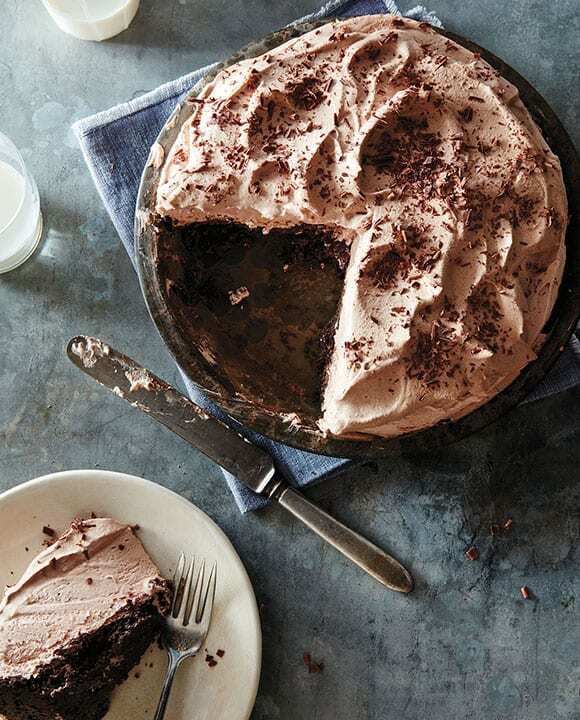 A boozy mud pie mashup. 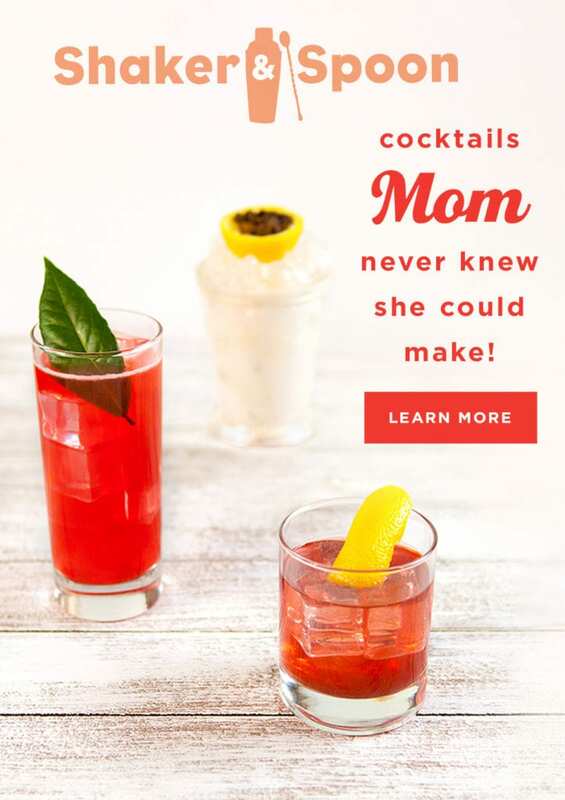 0 1 2 5 1 Total: 9 This cocktail s a great use of fresh strawberries with a refreshing balance of sweetness and acidity….